After Lydia MacBride dies, her family decide to scatter her ashes at the family barn in Devon, a place that has special meaning for them all and somewhere they visit every Bonfire night. When the eldest daughter Sophie arrives she is surprised to find her father blind drunk. It is not like Rowan at all and she puts it down to grief, not knowing he has in fact read some uncomfortable truths in his dead wife’s diaries. Secrets she never wanted her family to know. Sophie, meanwhile, has secrets of her own. Her husband Will had an affair and she is struggling to forgive him, although they have stayed together – in part for their three children, including a new baby. No one in her family is aware of Will’s infidelity and puts Sophie’s more than stressed behaviour down to a mixture of grief and dealing with the baby. It’s why they convince her to take the night off and go into town on bonfire night. Her younger brother’s gorgeous but shy new girlfriend Kerry happily agrees to babysit. Against her better judgement – she is wary of Kerry without knowing why – Sophie gives in, only to return to an empty house. Kerry and her baby girl are missing and, in Kerry’s belongings, Sophie and Rowan find the name of someone they haven’t heard of in years…and hoped never too again. It’s at this point the book, which was already pretty dark, becomes darker still with a twist that moves it away from a story about a stolen baby into something much more sinister. Whilst Lydia may not have wanted her family to know her secrets, someone else does, someone who has been working at destroying what they see as a too perfect family for a long time. The way who this is is disclosed is really clever and it took a moment for it to “click” with me when it was revealed. Then I had to smile when I realised how well I’d been led in the wrong direction. It turned the book from one I was enjoying into a real page turner, one I couldn’t put down. 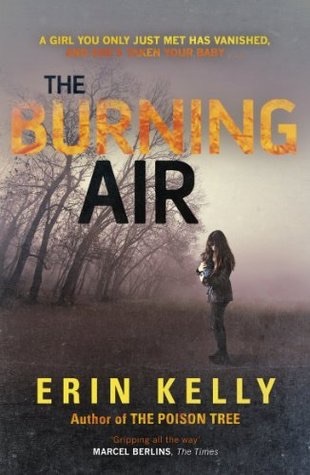 It’s one of the things I love about Erin Kelly’s books, they are never quite what they seem. She has done a really good job of building the story and developing all of the central characters. The location, dark, foggy, remote, Devon adds to the tension. As well as a story of a stolen baby this is about family, love, and class. That one person could wreak so much havoc is scary but how they do it isn’t outside the realms of believability…something I think could easily have happened. Thankfully it didn’t…making it a highly recommended read.